On view in Gallery L8 and the Donald J. Hall Sculpture Park. 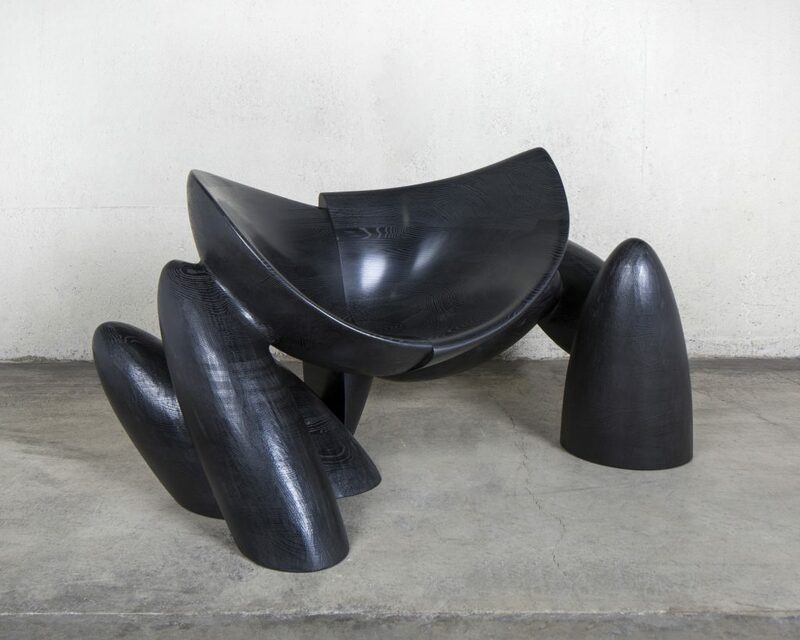 Over a prolific sixty-year career, Wendell Castle (1932–2018), a native of Kansas, approached furniture design as a sculptor. Producing work in a vocabulary entirely his own, Castle considered form and function on equal ground. He defied categorization by generating creations that lay just outside the boundaries of art and furniture. Finished with a slick oil-like surface Castle’s expressive and organic forms, are made from stained stack-laminated wood. They call into question what we consider a chair and our expectations of furniture. Wendell Castle: Shifting Vocabularies features Castle’s latest and last body of work. Top: Wendell Castle, American (1932-2018). Dizzy, 2017. Stained Ash, 45 1/2 x 93 x 68 inches (115.57 x 236.22 x 172.72 cm). Courtesy of Wendell Castle Studio and Friedman Benda. Image: Photography by Dan Kukla. Courtesy of Friedman Benda and Wendell Castle Inc. Wendell Castle, American (1932–2018). Motown, 2016. Stained Ash, 34 1/4 × 65 × 40 inches. Courtesy of Wendell Castle Studio and Friedman Benda, Photography by Dan Kukla.